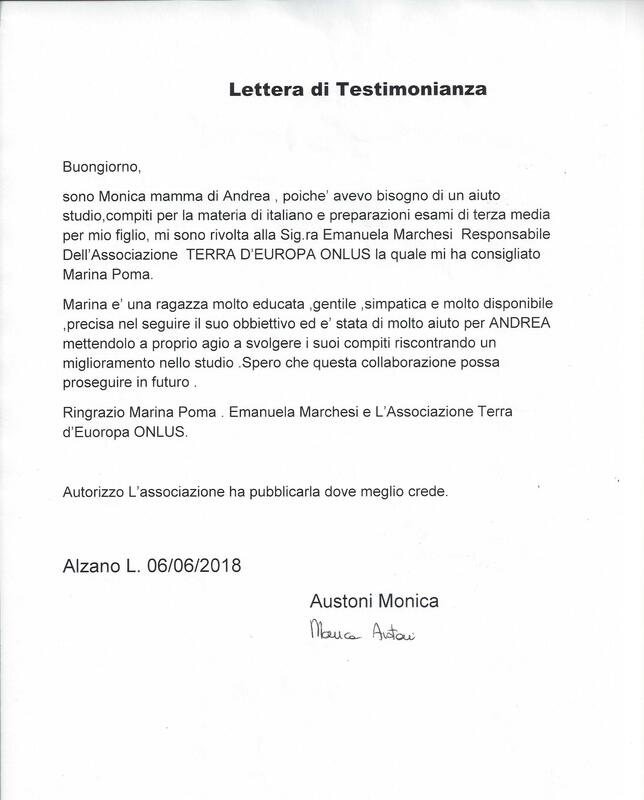 CARI AMICI, DESIDERO BREVEMENTE RACCONTARE DI COSA SI OCCUPA L’ASSOCIAZIONE TERRA D’EUROPA ONLUS. 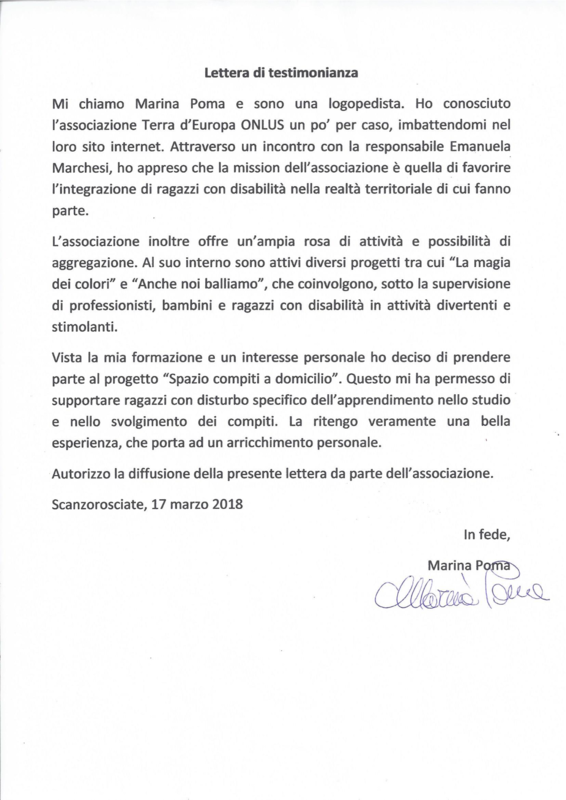 QUESTA ASSOCIAZIONE È NATA CON LA MISSION DI FAVORIRE, ATTRAVERSO DEI PROGETTI MIRATI, L’INTEGRAZIONE DEI DISABILI SUL TERRITORIO CHE LI HA VISTI NASCERE E LI OSPITERÀ PER IL RESTO DELLA LORO VITA. NON È FACILE SUPERARE TUTTE LE BARRIERE ED I PRECONCETTI CHE ANCORA OGGI CIRCONDANO LA DISABILITÀ, MA L'IMPEGNO ALLA LUNGA È PREMIANTE E NEL CORSO DI QUESTI ANNI ABBIAMO AVUTO DIVERSI RISULTATI POSITIVI. SIAMO CONVINTI CHE LA SINGOLA ASSOCIAZIONE NON PUÒ FAR MOLTO E CHE IL SISTEMA CHE PREMIA LA SINERGIA TRA LE ASSOCIAZIONI, SECONDO NOI, PREMIA ANCHE IL RISULTATO FINALE. PER QUESTO MOTIVO SIAMO STATI TRA I SOCI FONDATORI DEL COORDINAMENTO BERGAMASCO PER L’INTEGRAZIONE. 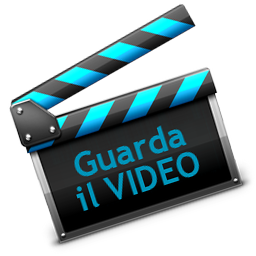 LE ATTIVITÀ SVOLTE PER FAVORIRE L’INTEGRAZIONE SONO TANTE E TRA TUTTE RICORDIAMO: PROGETTO SOLLIEVO, KARAOKE, GIOCHI IN PIAZZA, FESTA DI PIAZZA, LABORATORI, ATTIVITÀ CON L'ORATORIO, PROGETTO TEATRO ECC... SAREBBE BELLO, PERÒ, AVERE L’OPPORTUNITÀ DI INCONTRARCI PER POTER DIRE A VOCE DI COSA E COME REALIZZIAMO I NOSTRI PROGETTI. CHE ASPETTATE? 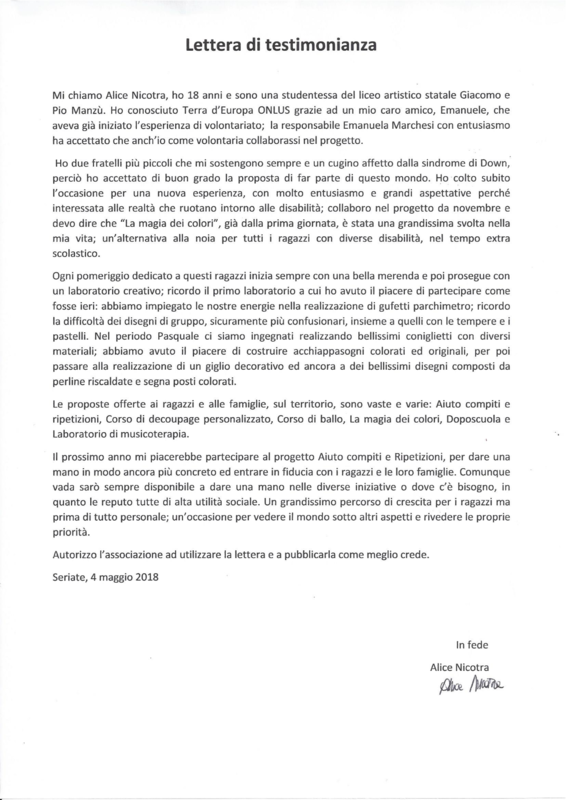 CONTATTATECI SUBITO, LE VOSTRE PROPOSTE ED IL VOSTRO AIUTO PERMETTERANNO ALL’ASSOCIAZIONE DI CRESCERE.